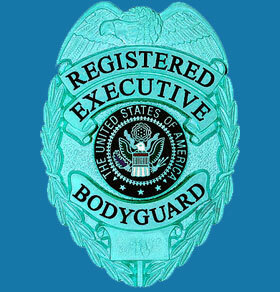 A bodyguard license may be required in order to seek employment as a personal protection agent. Bodyguarding is a form of private security and as such, licensure may be necessitated by the particular jurisdiction in which work is performed. Due to the variable and complex nature of bodyguard assignments, it is wise to be fully informed about your rights and restrictions as a personal guard, especially if you must travel often for your case assignments. Not fully understanding the regulations on the trade within a given locale may cause you to be arrested for operating in a security capacity without a license, or even more serious charges, such as illegal weapons possession or impersonation of a law enforcement official. This discussion explores the need for licensure within the bodyguard professions in the United States and worldwide. What is a Bodyguard License? In essence, a license is a document granted by a governmental source that allows a personal guard to work in limited or unlimited capacities in order to protect their clients at home or abroad. Bodyguards may or may not need licensure, depending on where they work and the specific nature of their assignments. In some areas, all bodyguards must be licensed and bonded, while in other areas, no regulations exist. In many areas, there are few, if any, requirements for unarmed guards, but strict rules governing armed security personnel. Guards who accompany their employers during travel must be acutely aware of the constantly changing rules they are subject to in each location in which they must work. This can be a full time commitment unto itself, since laws and regulations change regularly and independent guards must stay up to date on any changes which will affect their job performance on a daily basis. Some bodyguard licenses require a certain level of training or past experience in a related profession, such as police or military work. Active duty law enforcement personal have the easiest time working as bodyguards, since they often have the right to carry firearms regardless of where they go. Former military personal might also enjoy certain benefits in some areas of the world, when working as armed guards, since they might retain the right to carry deadly weapons due to their training and current career needs. Unarmed body guards also typically have an easier time when traveling, since they do not need to address the special concerns associated with firearms possession. However, private sector armed guards are constantly challenged to uphold the law while still protecting their clients. Obviously, these restrictions do not apply to bodyguards who work for law enforcement offices, government agencies or those that are subcontracted out to protect public officials. Before seeking a position as any type of bodyguard, make sure to investigate local and regional laws regarding licensure, regulation, insurance needs and behavior restrictions. It is never a good idea to start working and hope that all will be well, since this attitude often lands would-be bodyguards behind bars. If you are hiring a bodyguard, also be certain that your employee is licensed, certified or registered, as applicable, since failure to retain qualified guards may make you personally responsible for their actions and mistakes on the job. This can be a very costly concern for any ignorant employer. Willingly and knowingly employing illegal guards can result in criminal charges being filed, as well as exposing the employer to monetary penalties and the possibility of private civil litigation. To learn more about licensure of bodyguards, contact your local Department of State, Department of Licensure or Consumer Affairs Division. If these resources do not exist in your country, talk to the local police for updated information about the right to work in a bodyguarding capacity.